October is a wonderful month! National Dessert month so that gives me another wonderful reason to bake. My son's birthday was two days after I returned from Chicago and I was busy with work so I did not get a chance to bake him a pie. Sure I could have bought one but my son said it had to be homemade. So I agreed to bake him one the following weekend. By the time the weekend came and I got to the store, this mom was tired. So I decided to at least buy a premade crust, hoping the teen would not notice as the last time I tried to do that he said no way and made the pie crust himself. 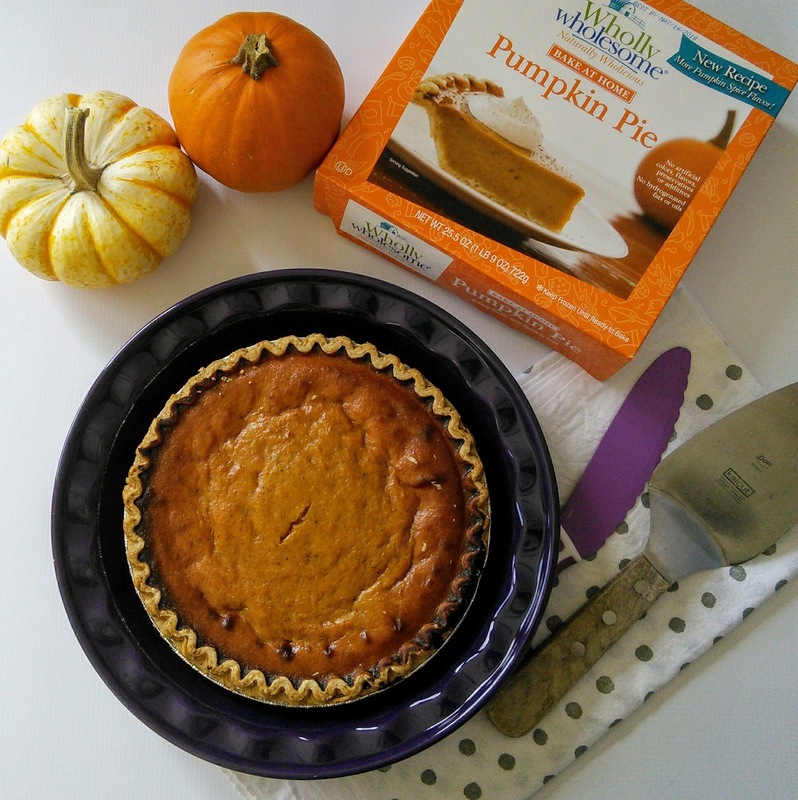 While I was in the freezer section looking for the pie crust, I saw a frozen pie that was naturally wholesome and decided to try it as this tired mom did not feel like baking. I was not going break my promise of a birthday pie for my teen son. 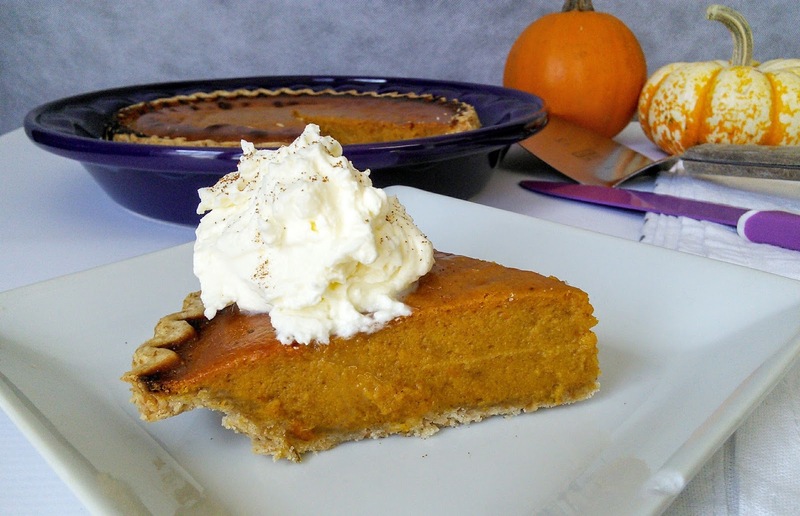 I did buy whipping cream so I could make homemade whip cream for the pie. 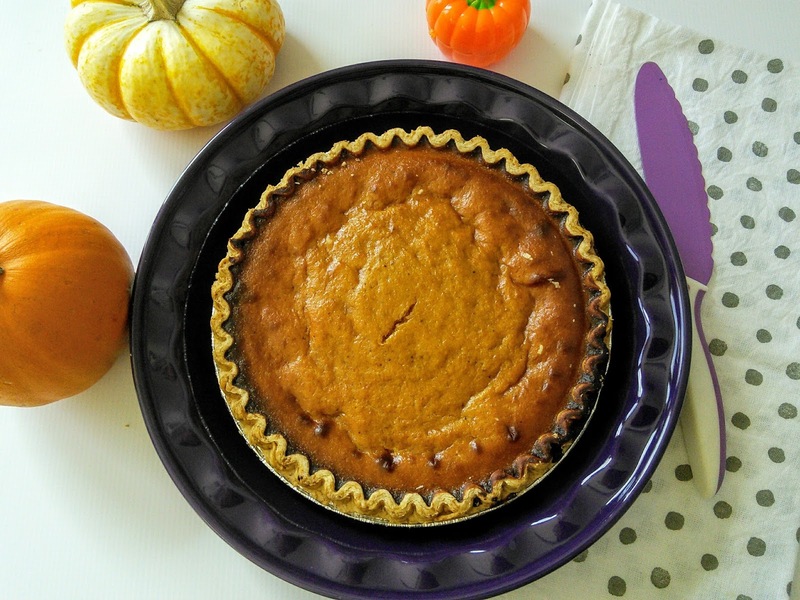 I am glad I took a chance of this frozen pumpkin pie. From the moment it started baking, I knew it was just like a homemade pie. The pie may have been frozen but it turned to a liquid and rose up just like my homemade pumpkin pie. Once the pice was done, it looked and smelled like a homemade pie. The real test came when I served the pie to my teenager son. The pie passed the test as he reached for a second slice of pie. This pie tasted homemade and had a nice flaky crust. My homemade whip cream went perfectly with the crust. I don't know why I buy the stuff in the can as whip cream is so easy to make and tastes way better. I do love celebrating National Dessert Month and my son's birthday. So how will you celebrate National Dessert Month? WIN products for a year! 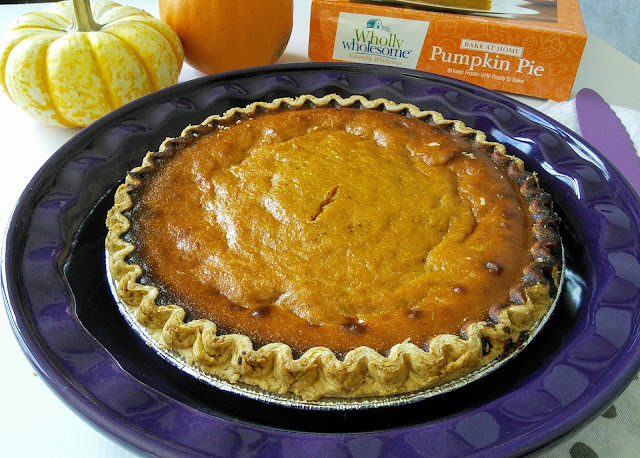 From October 11 to November 11, consumers are invited to visit WhollyWholesome.com to vote for their favorite dessert. When doing so, the consumer will earn one entry into the October giveaway. Consumers can vote daily, but only once per day. One Grand Prize Winner will be chosen to receive a one-year supply of Wholly Wholesome products. Three Runners Up will receive a six-month supply of Wholly Wholesome products. Contest winners will be selected at random, all prizes will be delivered directly to their home, and all winners will be announced and featured on WhollyWholesome.com and on Facebook.com/WhollyWholesome.